Rumours that Apple is planning a new version of its iPhone before the 'normal' upgrade cycle appear to be true - although it will only signify the end of the exclusivity deal in the US. Like in the UK when O2 lost its exclusivity deal for the iPhone when Vodafone and Orange came on board, Verizon looks likely to be joining AT&T in offering the iPhone for sale in the US, according to the WSJ. However, Apple will need to modify the wireless tech used inside the phone, as Verizon uses different network technology to its rivals AT&T. Like the UK, AT&T runs the iPhone on GSM networks, whereas Verizon uses CDMA technology instead. But it seems that in Q1 2011 Apple will be releasing a new version of the iPhone using a CDMA chip, meaning it will have access to a wealth of new customers as it seeks to take on the growing dominance of Android. Sadly it's not the iPhone 5 just yet - we doubt Apple would break its upgrade cycle to release the fifth generation of its phones. 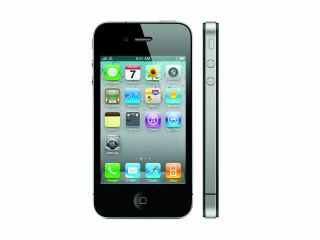 But check out our iPhone 5 rumours round up to find out the whispers on the net already for Apple's next fancy phone.